This Companion Brings Together An International 'Brodie Set' Of Critics To Trace The History, Impact, Reception And Major Themes Of Spark'S Work, From Her Early Poetry To Her Last Novel. It Encompasses The Range Of Spark'S Output, Pursuing Contextual Lines Of Approach Including Biography, Geography, Gender, Identity, Nation And Religion, And Considering Her Legacy And Continuing Influence In The Twenty-First Century. Spark Emerges Here As A Serious Thinker On Issues As Diverse As The Welfare State, Secularisation, Decolonisation, And Anti-Psychiatry, And A Writer Whose Work May Be Placed Alongside Proust, Joyce, Nabokov, And Lessing. 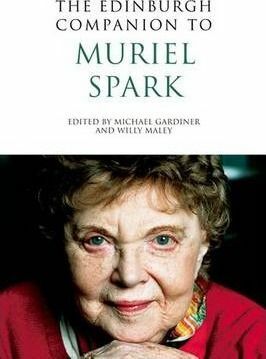 The Critics Collected Here Are Mindful Of How, Although Overwhelmingly Known As A Novelist, By The Time Of Her First Novel, The Comforters, In 1957, Spark Already Had A Significant Profile Through Poetry, Biographical Criticism, And Literary Journalism, As Chair Of The Poetry Society And Editor Of The Poetry Review, And As Author Or Co-Author Of A Number Of Scholarly Studies Of Writers Including Wordsworth, Mary Shelley, The Brontes, Cardinal Newman, And John Masefield.